For this final week of Women’s History Month, let’s take a look at some of the history of working women in the United States. Women Working 1830-1900 from the Harvard University Library Open Collections Program documents primary resources, such as diaries, magazines, and photographs, to explore how women working impacted the economics of this country, especially during the Great Depression. Browse by key events, including the Centennial Exhibition in Philadelphia in 1876 or by notable women included in the collection, such as interior designer Candace Wheeler. Discover more on this designer in Candace Wheeler: The Art and Enterprise of American Design, 1875-1900 in the UArts Libraries. For more general resources on women and labor, try searching the catalog by subject with women–employment. 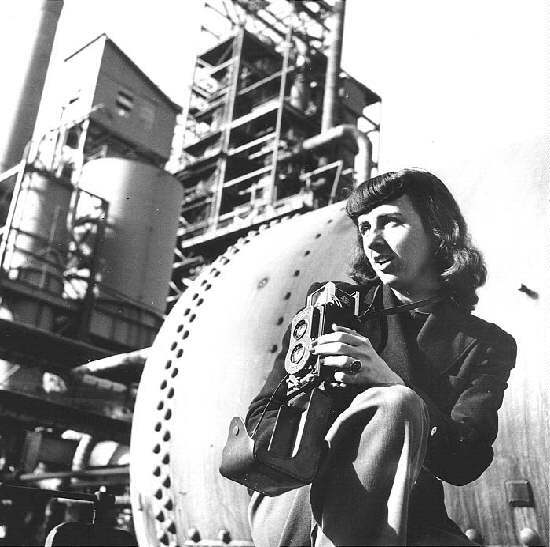 A really interesting website from the Library of Congress is Women Come to the Front: Journalists, Photographers, and Broadcasters during World War II. Eight women, including photographers Dorothea Lange and Esther Bubley, are presented for their hard work and insight during wartime. To learn more about these two photographers, search for Lange, Dorothea and Bubley, Esther as subjects in the UArts Libraries’ catalog. Finally, a horrible tragedy that, thankfully, encouraged better working conditions for all Americans. March 25, 2011 is the 100th anniversary of the Triangle Factory Fire. Cornell University has a wonderful website dedicated to educating the public about the fire, which occurred March 25, 1911 at the Triangle Waist Factory, a textile factory in New York City. Within minutes of the fire starting, 146 people, mostly women and many of them young immigrants, had perished. Because of this horrific event, labor laws and building codes all over the country were updated and enforced. We can all thank the Women’s Trade Union League, who campaigned for the 8-hour work day!